Switching to a low-carb diet is a major lifestyle change. Getting used to shopping the low-carb way is essential to your diet’s success. Most of us perform regular tasks such as shopping without thinking. We just act out of habit, buying similar things over and over again. If you are used to structuring your meals around pasta and potatoes, you need to learn new habits. This post provides guidance on buying low-carb foods in the UK. These tips are for people who have recently started a low-carb, moderate to high-fat diet. I assume you are not a vegetarian (being a passionate carnivore myself, I don’t really have any advice that would be of use to vegetarians). Always consult the guidelines of your chosen low-carb diet plan, as there may be variations in specific permitted foods. Carb count info. I provided approximate carb counts for each food group. Except for zero-carb foods like meats and fats, provided carb counts are a guideline only – always use your carb counter book or app, and check food labels for precise carb counts. 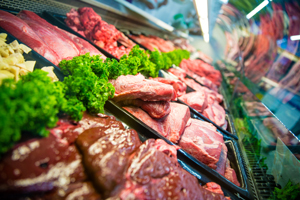 All meat, fish, and poultry contain zero carbs and are the perfect staple foods in low-carb diets. If you can afford it, opt for organic free-range produce, preferably from a local farm rather than a supermarket. Quality and flavour will be better. But it will cost you more than standard supermarket meat. I believe that this extra expense is worthwhile. But it obviously depends on your budget and lifestyle. Always buy fresh, unprocessed varieties, with nothing added. If a food has been processed, marinated, or had a sauce added to it, then extra carbs and chemical preservatives can sneak in. Avoid anything breaded or battered, as that adds carbs. So fish fingers don’t count as fish. One way of spending less without compromising on quality is getting frozen meat or poultry in big packs. Fish tinned in brine or oil is another good way to save. Eggs are also a great inexpensive source of protein. Note on shellfish – Be aware that some shellfish (mussels, octopus, scallops) and offal meat (liver, kidneys) have a small amount of carbs, usually about 2-4g per 100g. This matters if you are on a strict low-carb plan such as Atkins Induction or Keto. 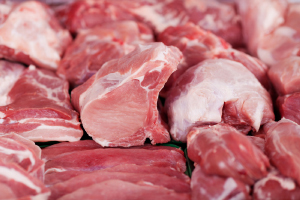 There are thousands of ways to cook animal proteins. I find the most convenient ways for me are usually pan-frying, roasting and slow-cooking. Contrary to what journalists tell you, non-starchy vegetables are another staple of a low-carb diet. Vegetables will step into the void left by potatoes, rice and pasta, to provide some company for your proteins. They do contain some carbs, about 2-7g per 100g. Do keep an eye on quantities if you are on a very low-carb plan. 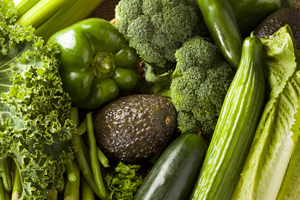 Generally speaking, any vegetable that’s green in colour is usually low in carbs. This includes all salad and leafy greens – lettuces, spinach, kale, pak choi, salad herbs. Other green-coloured heroes are cabbages, green beans, broccoli, okra, courgettes, cucumbers, green peppers, spring onions, asparagus. Avocado is also good. Non-green salad vegetables such as tomatoes, radishes and bean sprouts are also low in carbs. I am jealous of Americans posting recipes with spaghetti squash, but it’s hard to find this elusive vegetable in the UK. Apparently some branches of Waitrose have it. Stay away from root vegetables such as beetroot and carrots, as they tend to be much higher in carbs. Potatoes are definitely a no-go! If you are on a budget, buy frozen vegetables – they tend to be cheaper than fresh. Check the guidelines of your low-carb diet to see which specific vegetables are permitted, or get a carb counter book or app that you can consult on the go. Is there a life after pasta? Watch out for fruit! It masquerades as the ultimate healthy food. But most fruit contain quite a lot of sugar and so don’t fit with the low-carb lifestyle. 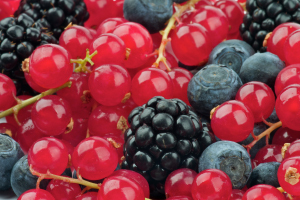 Berries are lower in carbs and are a much better choice. Plums are ok for moderate low-carb plans, with about 5-7g net carbs per plum. Lemons (obviously not the sweetest of fruit!) have a strong taste and lots of vitamin C – if you are craving fruit flavours, have some lemon-flavoured water or try a lemon-infused sugar-free dessert, like this low-carb lemon tart. Stay away from fruit juices and smoothies. They are even worse than fresh fruit, as they strip out the fibre, increasing proportion of sugar. Make your own smoothie with yoghurt and fresh crushed berries. Dried fruit such as raisins, dates or apricots are very high in sugar. The general rule of thumb is that the higher the fat content, the lower it is in carbs. Stay away from anything that’s labelled as low-fat! That’s usually done at the expense of higher carb content. 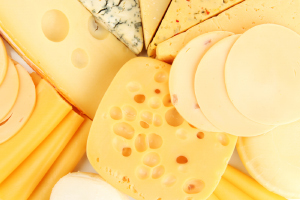 High-fat dairy like cream and cheese are perfect for boosting your diet’s fat macro. It is vital to get lots of fat into your low-carb diet – you should aim to replace most of the calories you used to get from carbs with fat, rather than with protein. You have to eat fat to burn fat! Most fats and oils have zero carbs. You can use them liberally to ensure that you get sufficient amounts of fat. 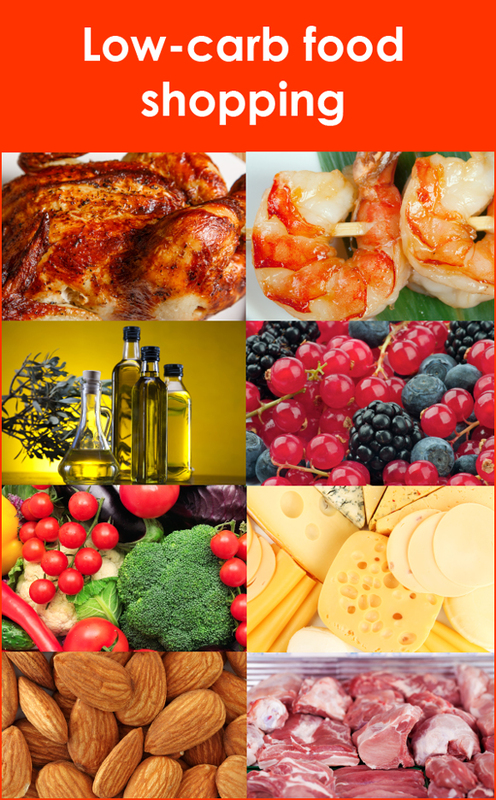 Some diet plans have specific recommendations on preferred types of fats and oils. 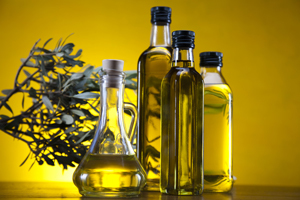 There is an ongoing debate about oils with high Omega-6 content. Adding fat to low-carb meals makes them lovely and rich. Use fat when cooking and dress your meals with oil and butter. Make your own salad dressings with pure oils, vinegars and spices. Don’t trust ready-made dressings – even if they look like oil, they might have something sugary lurking within. Always choose butter over processed spreads and margarines. As with dairy, avoid anything that’s labelled low-fat. Most nuts and seeds have a reasonably low carb content, so they make a good low-carb snack. 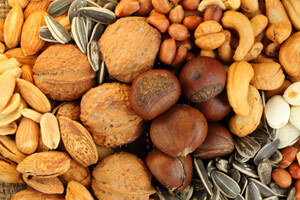 Nuts are lower in carbs than seeds. 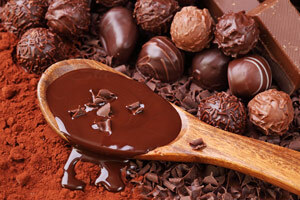 But they are very high in calories and omega-6 oils, so take care not to eat too much. This is especially important if you use ground nuts for low-carb baking. Flaxseeds (also known as linseed in the UK) are a low-carb superfood – very low in carbs, high in protein and fibre. Flaxseeds are a popular low-carb baking ingredient. The flavour is quite strong and needs some getting used to (or masquerade it with other strong flavours, like hers and spices). But the nutritional profile is fantastic. Yes, you can still have desserts, breads and baked goodies when on a low-carb diet! But you will need to use low-carb ingredients and slightly different methods than with traditional recipes. Have a look at our guides to low-carb baking and low-carb desserts. I also did a blog on how to avoid common low-carb baking problems. Sugar, grain-based flours. These two items epitomise high-carb and are basically the devil incarnate. Avoid them always and at all costs. So you think you know your carb counts? Take our quick low-carb food quiz to check. Hi Emma, yes, arrowroot is a good option, it is quite low in carbs. I also sometimes use xanthan gum – not as natural, but you only need a tiny amount. Hi, I have recently moved from South Africa ( huge low carb fans there ) to the UK. Most of the online food shops are 80 % ” out of stock ” Which are the best sites that you find. In SA there is a food shop called Woolworths who stock a range of of low carb foods from ice cream to ready meals. Another frustrating thing is that bread on the sites I have found has WHEAT in it…a BIG no no on a low carb diet. For low-carb bread, my go-to brand is Carbzone. Hallelujah! UK based low-carb information! I’d love to see this go viral – do you have Twitter/Instagram/Facebook/YouTube? Thank you again and best of luck with your diet in 2017! I’m a fish- and dairy-eating vegetarian but have been put off low carb diets by pictures of loads of meat but thanks to your useful tips I have been encouraged to give it a try. Many thanks!! Thank you Susannah, best of luck with your diet! Fish and dairy should carry you through. Thanks for this! I’m UK based and all the US based low carb shopping advice sites has been filled with things we can’t get! Thanks Kevin! Bets of luck with your diet. Keep up the work for uk based approach. Suprised how much you need to learn or pay attention to,rather than just blagging it. P.S for sweet drink addicts like the missus. ALPRO Coconut chocolate milk is the solution.even hot.better than those coffee mocha sachets! Thank you Simon, and best of luck with your diet! Good tip on ALPRO chocolate milk – thanks! Thanks Fiona! I am so glad you found it useful. Best of luck with your diet! I’ve been eating low/carb since 2 months and lost 10 pounds so far. I’m wheat free and only have berries every second day and some dark chocolate (80% cacao) once in awhile, this is my sugar intake. I started this way of eating because I suffer from Lipoedema/Lipedema which is a rare fat disorder affecting mostly women and I was told that it would help manage my condition and it does! Thanks for sharing this, it’s amazing how many health conditions benefit from going low-carb! very informative thanks! the only thing I dont see mentioned is sugar free jello you can splurge with a dollop of heavy cream for only 2 carbs a serving. Thanks Pam, indeed sugar-free jello is a good one to add!